The Fuzzy Monkey is a fruity little shot – mostly orange juice, but there are also some peach and banana notes. The overall effect is a slightly mellowed orange. The neat thing about this shooter is that it’s not hard-liquor based. 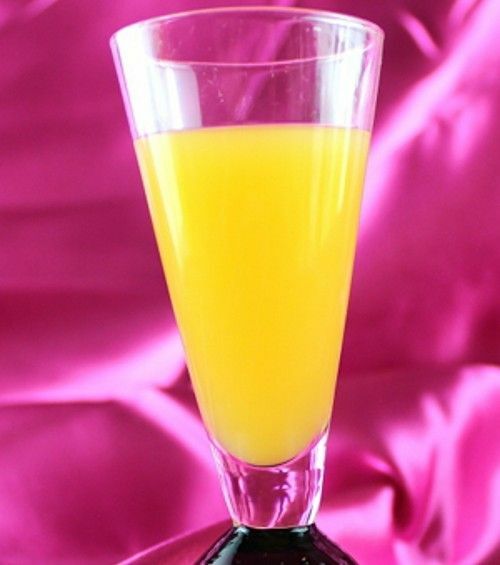 The small amount of vodka is overwhelmed by the fruit juice and liqueurs, making it a very smooth little drink. It’s almost more like a cordial than a traditional shot, and in fact that’s not a bad way to serve it. Fill a cocktail shaker with ice and pour in the ingredients. Shake until chilled, and strain into a shot glass.